American poet Erin Belieu was born in 1967 in Nebraska and won an MA at Boston and an MFA at Ohio before going on to teach at various universities and colleges across the States, including as a professor for creative writing. Her works have covered such diverse issues as gender divides and meaning, the idea of love, and how our history defines us. She has published 3 books of poetry to date. Her first collection, Infanta, came out in 1995 and won the National Poetry Series. The book covered a number of unflattering portraits of people caught in moments of failing or self-realization. It also searches for a wide range of sensual emotions whilst using ‘fierce’ words laced with sharp humor and anger. In the poem Hideous Chair she celebrates a piece of furniture for standing against a world of correctness. It highlights her use of inanimate objects, imbuing them with all our human characteristics and failings. Infanta was also chosen as book of the year by The Washington Post. Erin Belieu’s second collection came out in 2000 and was titled One Above, One Below. It set her up as a distinctive new voice in poetry and won her plaudits from across the country including the New York Times. She takes everyday characters in normal situations and fills them with rich imagination. One of her most popular poems, On Being Fired Again, uses monologue and juggled metaphor to deal with the dark situation of being dismissed from a job, no matter how menial. The same year that Black Box was published saw her board the Wave Press Poetry Bus with other poets to tour the US to carry out readings to the unsuspecting public. In 2009 she helped to found VIDA, a society which explores women in the literary arts and how the world perceives work produced by them. 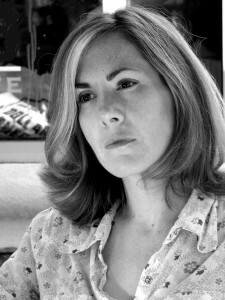 Erin Belieu is currently an associate professor in creative writing at Florida University.